Mt Kooyong Nursing Home is currently accepting applications. 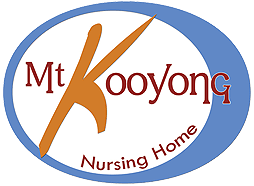 Mt Kooyong is fully staffed with professional nursing and care staff, providing residents with assistance 7 days a week, 24 hours a day. Comfortable and welcoming environment, set amongst a rainforest backdrop, providing a peaceful green haven for residents and visitors. Julatten is a quiet and restful part of the world, providing residents with a peaceful haven in tropical rainforest surrounds. Located on the northern end of the scenic Atherton Tablelands, Julatten is home to approximately 1,600 permanent residents and is around a 1.5-2 hour drive from Cairns. With a focus on providing professional care and compassion, Mt Kooyong Nursing Home has registered nurses on site 7 days a week and staff always on hand to assist with resident needs. In addition, there are medical and allied health care specialists who visit for the exclusive use and benefit of residents. At Mt Kooyong we know it’s not an easy decision to move yourself and/or parent or dependent into a care facility. It is a challenging and emotional time full of uncertainty. We work with our residents and their families and carers to make the transition as smooth as possible. Operating under the current ownership since 1979, we pride ourselves on providing residents with a high quality of life in a beautiful part of the world. Our caring, professional staff assist residents with day to day tasks, including cleaning and laundry, personal care (dressing, grooming and toiletries) and provide 24-hour nursing care. Mt Kooyong Nursing Home is a respected Atherton Tablelands Nursing Home facility. Our services are government subsidized and we specialise in providing high care* residential services. From time to time we also have low care beds available for respite clients, but availability varies. *High level care homes (previously known as nursing homes) offer care and services for people who need continuous nursing care. Our friendly team are always available to assist with enquiries and applications. Contact us today.